In my previous post, I defended the use of linked servers for administrative purposes. Now let's look at some practical uses. The basic concept is to connect to the CMS, iterate through sys.servers, select data from the remote servers, then return the data for all linked servers as a single data set. Let's begin with an example that returns a list of databases on all of our linked server SQL instances. I seem to be in the minority when it comes to SQL Server linked servers. When it's another SQL Server instance on the other end, I quite like them for administrative purposes. But other SQL pros have some reservations and gripes. I've even seen the word "hate" thrown around freely. If you've ever given any consideration to IT security, you've probably heard of the layered security model. It's often explained with an onion analogy: at the center are your assets, surrounded by multiple layers (security controls) protecting them. 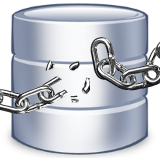 Those assets are often your company's data in a relational database management system (RDBMS), such as SQL Server. 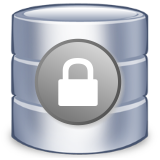 One of the last lines of defense against unauthorized access to your data is the security configuration of the RDBMS. It is what lets the good guys in and keeps the bad guys out. This is not something to be taken lightly.